The teaser of Salman Khan’s much-awaited film Bharat is finally out and it looks quite promising. A day before Republic Day, Salman Khan teased the audience by sharing the one-and-a-half-minute long Bharat teaser, report The Statesman. The teaser starts with visuals of an overcrowded train at a railway station in Pakistan flashing photographs from the time of Partition. In the voiceover, Salman says he was named Bharat, after his country, by his father. And therefore, he doesn’t give importance to questions about his cast, creed, and religion. 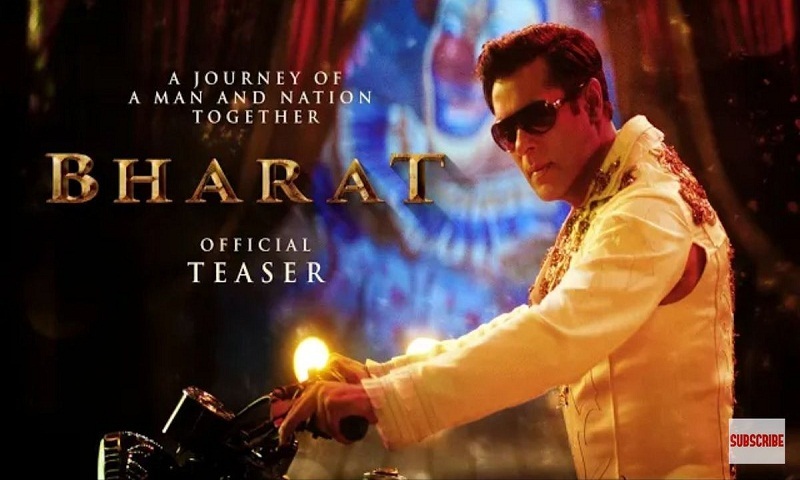 The Bharat teaser also shows Salman Khan perform daredevil motorcyclist stunts, as a Navy officer and an aging boxer. He will be sporting different looks of varying age groups, and we got glimpses of three looks in the teaser. Both teasers don’t share the looks of other star cast including Katrina Kaif, Disha Patani and Sunil Grover. The film is directed by Ali Abbas Zafar, Bharat is going to be the big Eid release this year.